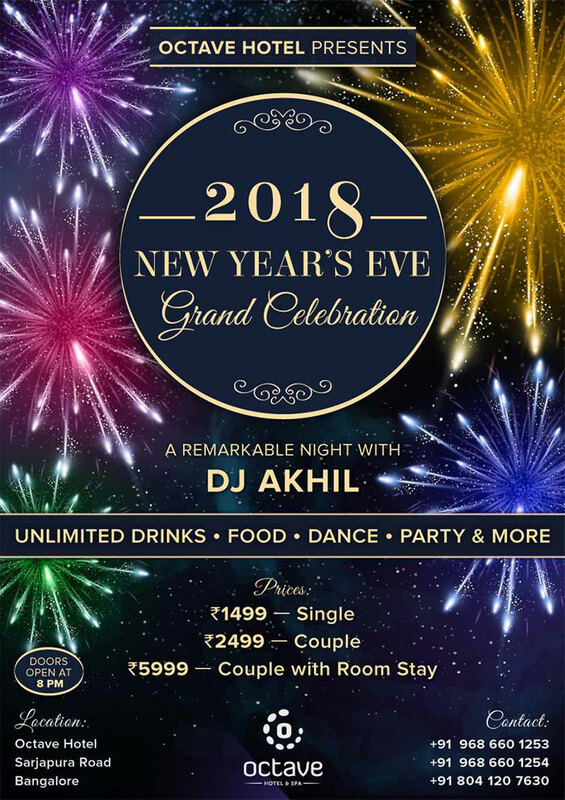 Octave Hotel and Spa is Octave Hotel - Sarjapur Rd is privileged to celebrate with you the last day of the year 2017 and welcome the New Year 2018 with a remarkable grand celebration with DJ Akhil, Playing the best of Bollywood, commercial and house music. 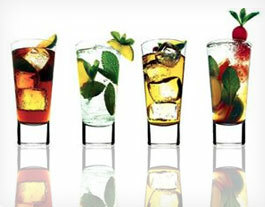 Unlimited Drinks, a lavish buffet spread, dance and endless fun awaits you. 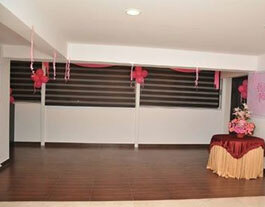 Get your dancing shoes on and be set to rock the place with a huge dance area, a private bar and a dining area. There is no better way to kick start the New Year. 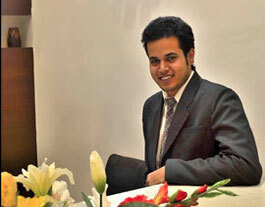 Have a gala time with a grand party, grand masti and unlimited entertainment. 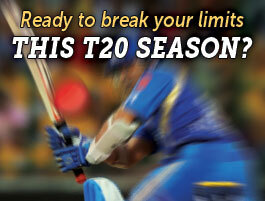 Hurry.....Book your tickets now, before we are full house. Tickets can be collect at the venue or can be booked online using the below link on or before the day of the event. Octave Hotel and Spa is privileged to celebrate with you this Valentine's Day, a day of love and togetherness with music, romance, drinks, and scrumptious food. Come, celebrate your love with a night of unlimited drinks, unlimited food, unlimited music, and unlimited love. Dance to the tunes by DJ Amresh, toast to a glass of wine, have a conversation on our deck, and feast your stomachs to our delectable buffet. All in one at a special price of 1999 per couple. 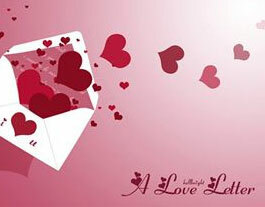 An exceptional night of love for you and your loved one. Octave Hotel & Spa Sarjapur Rd is privileged to celebrate with you the last day of the year 2016 and welcome the New Year with a remarkable grand celebration with DJ Akhil, playing the best of Bollywood, commercial and house music. 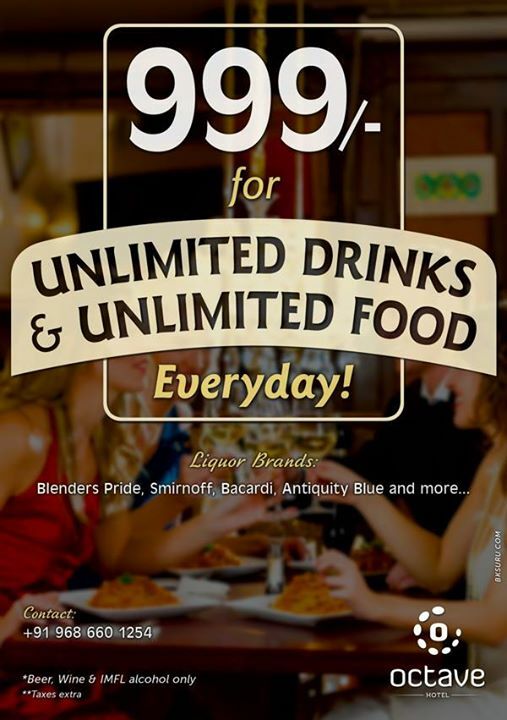 Unlimited drinks, a lavish buffet spread, dance and endless fun awaits you. 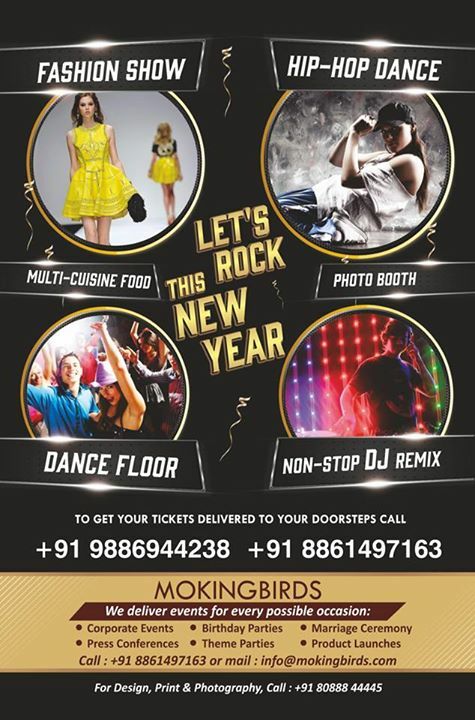 Get your dancing shoes on, and be set to rock the place with a huge dance floor and a private bar and dining area. There is no better way to kick start the New Year. 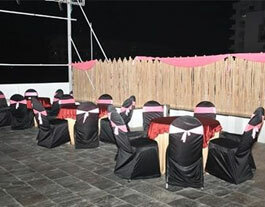 Have a gala time with a grand party, grand masti, and unlimited entertainment. Tickets can be collect at the venue or can be booked using the below link on or before the day of the event. Early bird ends soon, hurry to avail the discount. 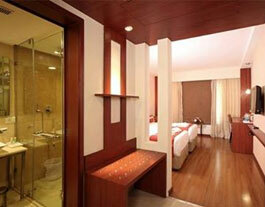 Octave Hotels is pleased to launch our newest boutique hotel - Octave Suites @ Residency Road, Bangalore. 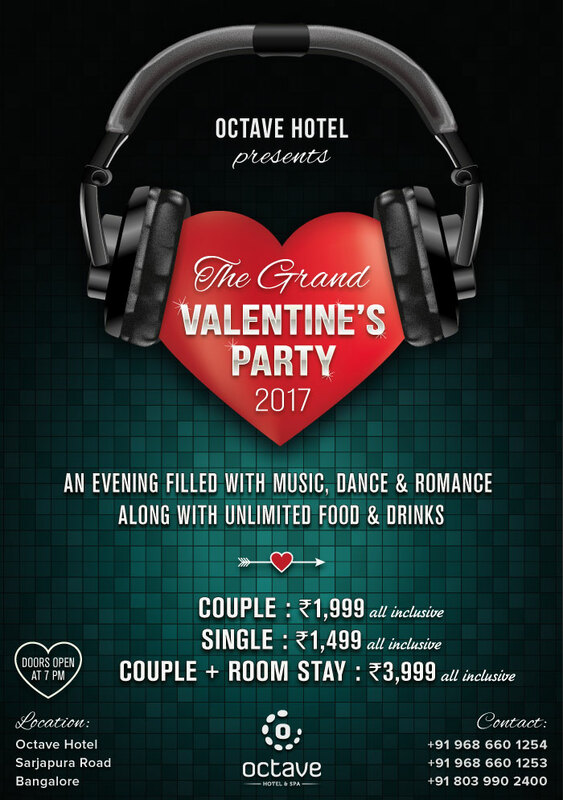 Octave Hotel and Spa is privileged to celebrate with you this Valentine’s Day, a day of love and togetherness with music, romance, drinks, and scrumptious food. Come, celebrate your love with a night of unlimited drinks, unlimited food, unlimited music, and unlimited love. Dance to the tunes by DJ Amresh, toast to a glass of wine, have a conversation on our deck, and feast your stomachs to our delectable buffet. All in one at a special price of 1999 per couple. An exceptional night of love for you and your loved one. Tickets can be collect at the venue on or before the day of the event. 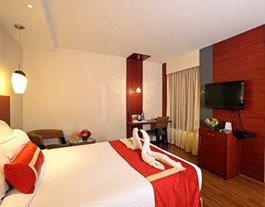 Octave Hotel & Spa has launched its second property in Bengaluru on Sarjapur Marathahalli Outer Ring Road. This is the group’s second property located within 4 kilometers away from each other and is aimed to share resources, optimise costs, and increase inventory in the region. 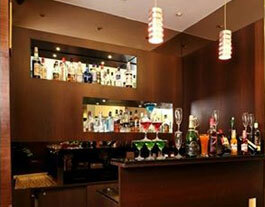 Come quench your thirst with Unlimited Drinks and Food at Octave Hotels! 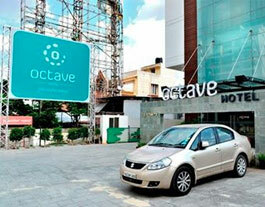 Octave Hotels featured in Today's edition of Deccan Herald! Celebrate New Years Eve in Style with Fashion show, Hip-Hop Dance performances and non-stop music with dance floor !! 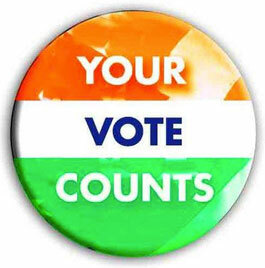 Here is one more reason why you should choose us!! 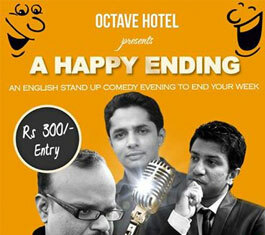 Octave Hotels is now certified by Trip Advisor with the "Certificate of Excellence 2014"
Glimpses of the wonderful evening at Octave-"HAPPY ENDING" STAND UP COMEDY EVENT - Fantabulous performance by the Artists !! 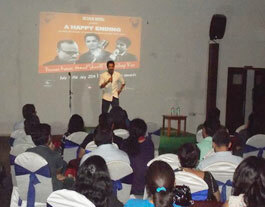 Serve yourselves a good laughter therapy at the first of its kind STAND UP COMEDY EVENT in South Bangalore. 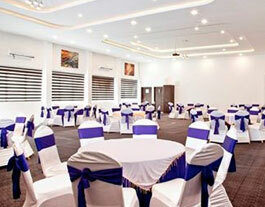 Look no further for all types of banqueting requirements - Under one roof. Come and welcome yourself for a surprise!! 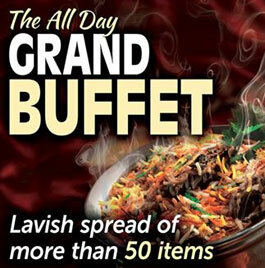 The buffet that will make you have more than you can handle! A gala time to be had by everyone! 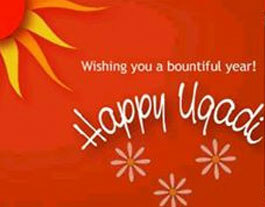 We would love to wish one and all a Happy Ugadi this year! 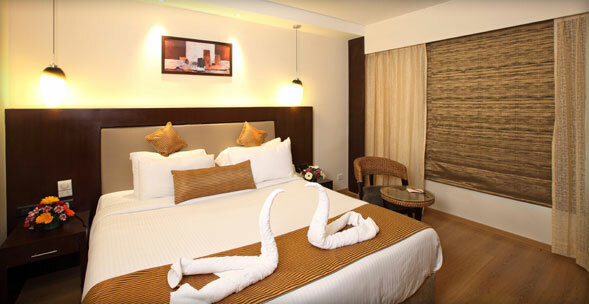 It truly is the feeling of bliss when you stay at Octave Hotels! Let me be surrounded by luxury, I can do without the necessities, so said the Irish poet Oscar Wilde. 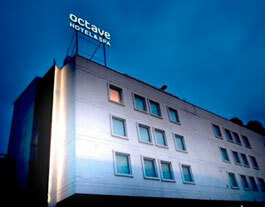 The Octave Hotel, the epitome of luxury for many a business traveller. We are the perfect hosts! 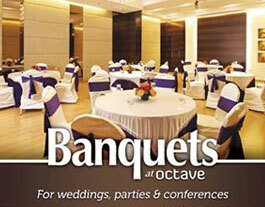 The Banquet Halls at Octave is the perfect place to celebrate a happy occasion in one's life! 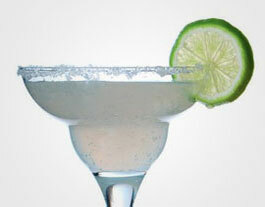 Happy Hours for those want to get a little head start to the party! Every weekday between 4PM & 8PM. 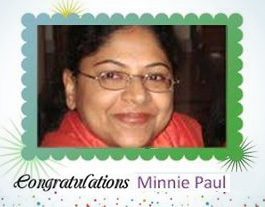 This Woman's Day have a special evening out with the ladies! 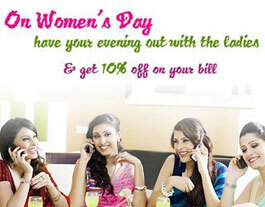 Celebrate Womanhood this March 8th at Octave Hotels! 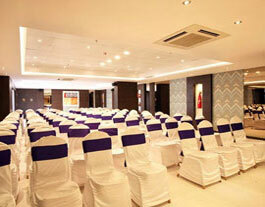 Book the Conclave for that all important business conference that you've been planning for some time. 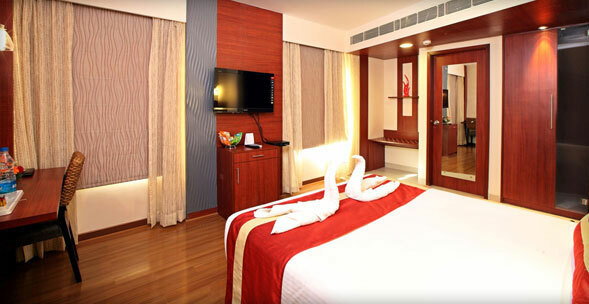 The amenities & the facilities here are simply world class! 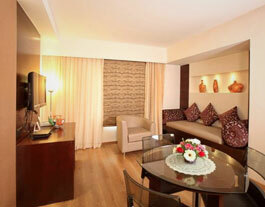 Our guests are always happy as they have the ability to see the beauty of our rooms, which in turn makes us so happy! Our customers are our crown jewels. 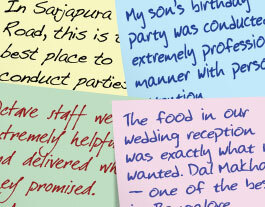 Here's some of the feedback that they have been kind enough to share! 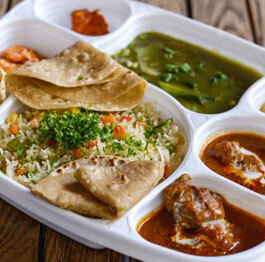 Enjoy our multi cuisine restaurant Flavors. 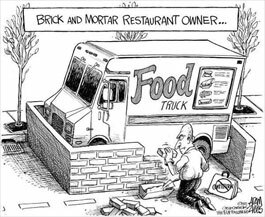 The perfect place to have a business meal. 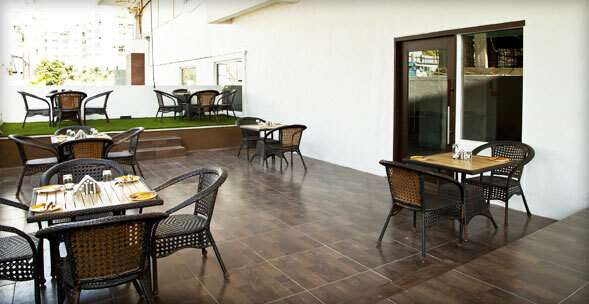 Once you've tasted the luxury of Octave Hotels, there certainly is no going back! 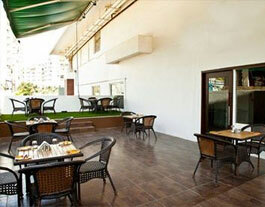 The Al Fresco sundeck at the Octave Hotels is the perfect place to have that little gathering with friends & family! Book the place today for that party of yours! All week delight! Just for you! 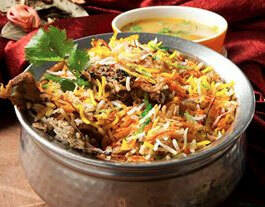 Come on over & enjoy the delicious Biriyani buffet spread that's been put out simply for you! First we eat, and then we do everything else! 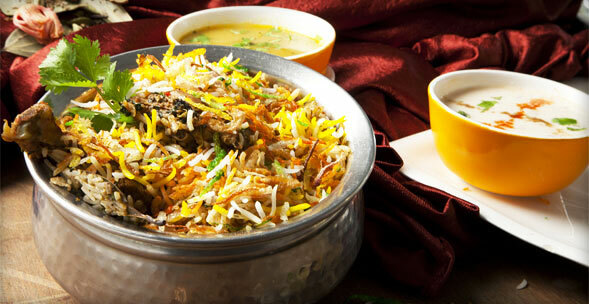 How else can you do justice to this delicious dish! Spend this amazing Valentines Day at Octave Hotels & have the time of your life! Luxury must be comfortable; otherwise it is not luxury Coco Chanel. 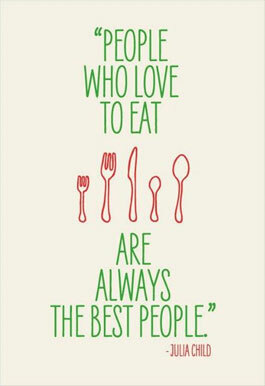 At Octave Hotels we believe this to be true. 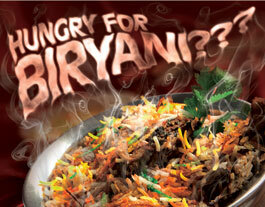 If you're hungry, then it's time to savor the Biriyani Buffet launched here at the Octave Hotel. It's quite simply a marvelous feast! 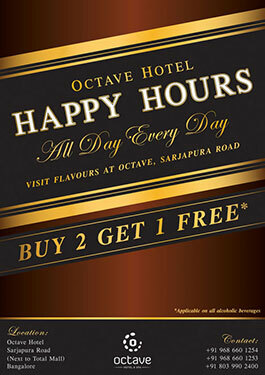 For the finest in hospitality be sure to come to Octave Hotels off the Sarjapura road today. 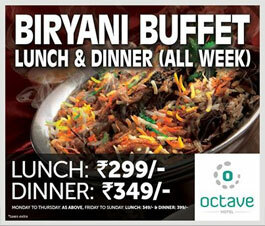 Enjoy an absolutely delicious spread of Biriyani at the Buffet for lunch & dinner, everyday at the Octave Hotels. A gourmet's delight indeed! 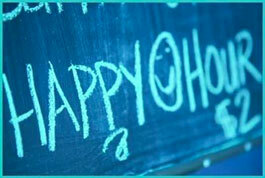 Happy Hours!!! Just for you! Every day of the week between 4-8 PM! 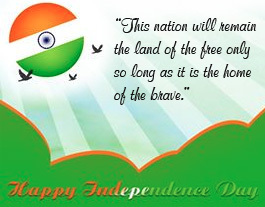 Octave Hotels takes this opportunity to wish you all a Happy Republic Day! Need to attend to an impromptu guest, quick round table conference. 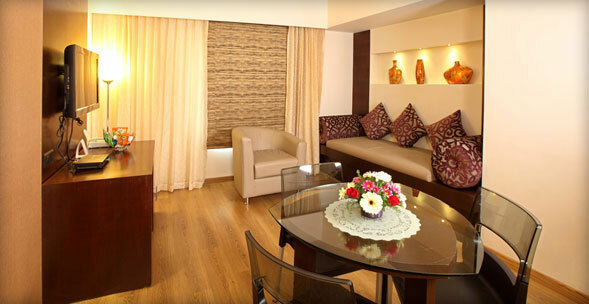 Well then we must say our suites are quite as the expression goes 'Fully Loaded'! Enjoy a delightful evening under the stars on the Al Fresco sundeck with a view of the lake, adjoining our hotel! 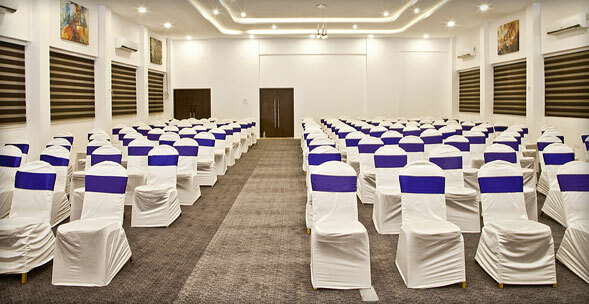 With theatre style seating of up to 350 the Al Fresco banquet hall is the event destination to be! The Al Fresco banquet hall is quite unique. 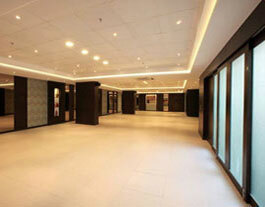 Consisting of an adjoining break out area to party, this is the perfect place for you to have fun! 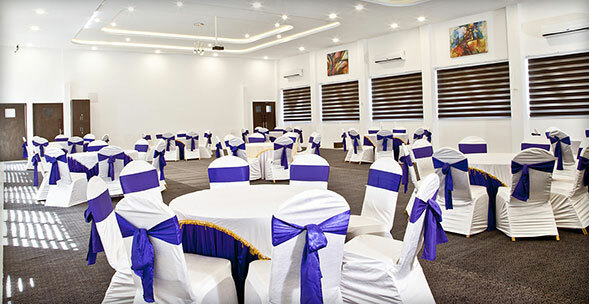 With a state of the art sound system by JBL this stunningly lit up banquet hall is just what you need to host a successful conference or business gathering! It is the ultimate luxury to combine passion and contribution. 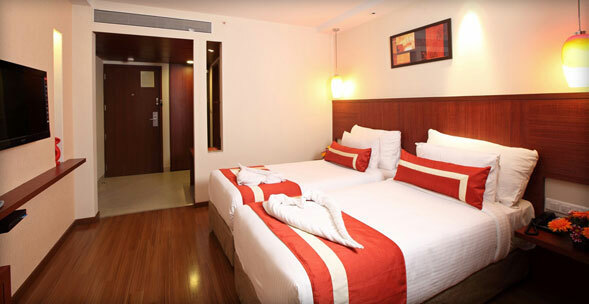 At Octave Hotels we have that in bundles. Do visit us today! Sometimes it's always difficult to begin. Start backwards & work your way to the beginning. You will get more clarity! 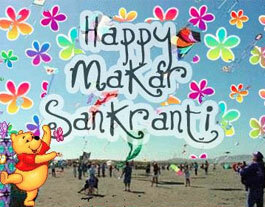 Octave Hotels wishes you a Happy Makara Sankranti! A place of zen in the hustle & bustle of the city! 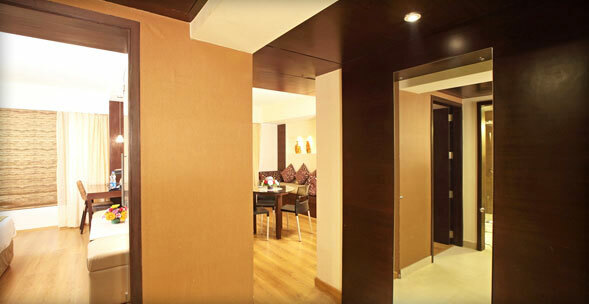 Executive suites at the Octave Hotels! Have a great stay! 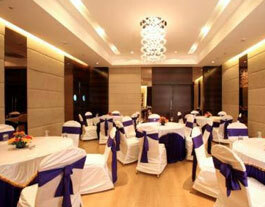 A spacious new Banquet hall launched at the Octave Hotel! The Al Fresco ball room with a floating capacity of 750. Perfect for that party that you have in mind! Any thoughts about this out of world experience! Perfect place to hold your Conclaves! 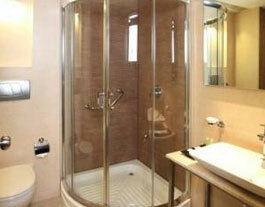 Great facilities at the Octave Hotel! Book now for the best deals! Know your audience of the event. Don't be playing party music at a business meet. They just don't go! 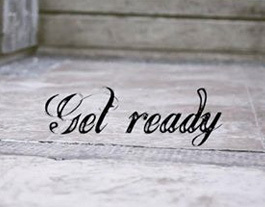 Are you feeling a little tired after all partying this New Year's Eve! Well fear not, here's a chance to win a free massage! 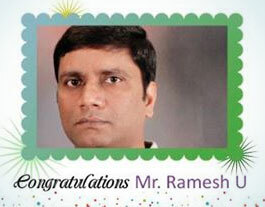 Enter the simple contest & one lucky winner will stand to win! 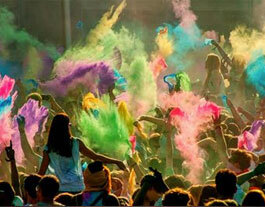 You've had a gala 2013! Now it's time for a rocking 2014! 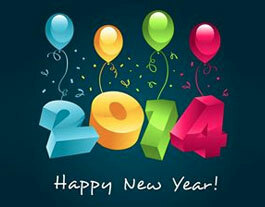 Octave Hotels wishes one & all a Happy & Prosperous New Year! It's here! The last big bash of the year! 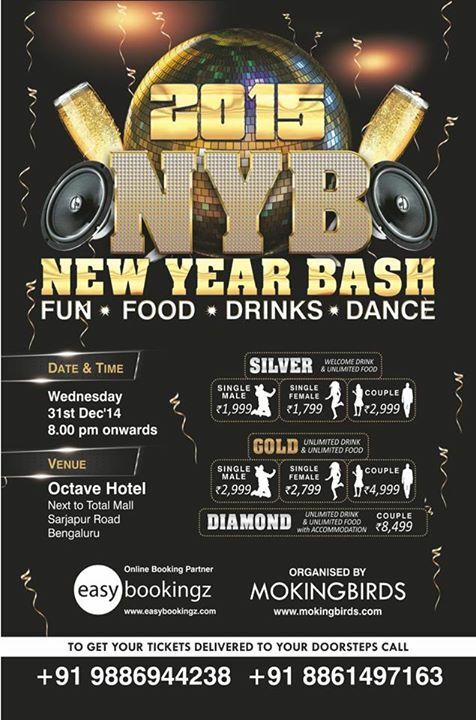 Octave Hotels along with RAKS Entertainment brings you the Royal New Year Celebrations! 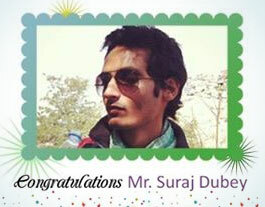 With MC & DJ Sameer tonight from 8-30 PM onwards! 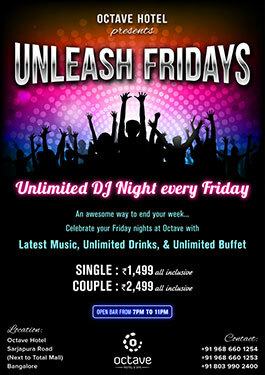 Unlimited food & beverages! Don't miss the party of the year! 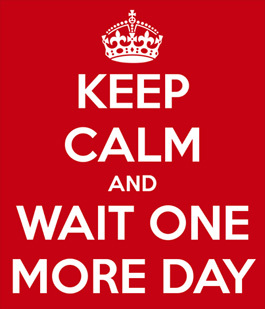 Hold your breath! Just one more day for the grand 'Royal New Year Celebrations' at Octave Hotels! Have you booked your seat yet? Yes. The party of the year! This New Years at Octave Hotels! The Royal New Year Celebrations! Have you booked your seat yet? 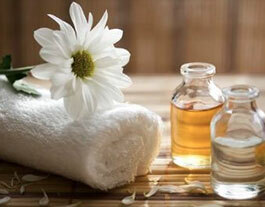 Want to feel relaxed & rejuvenated! Click on & stand a chance at winning a free massage! Best Wishes for the coming year. 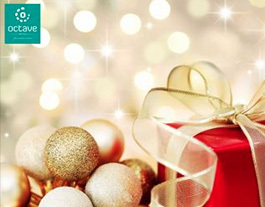 Octave Hotels wishes you a Merry Christmas! Indulge yourself! Enter our contest & stand to win a free massage! 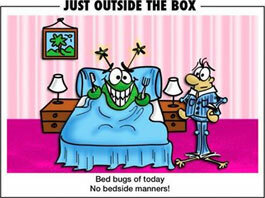 We all do need the right manners for the right place…don't you agree?? 2013 is coming to a close. 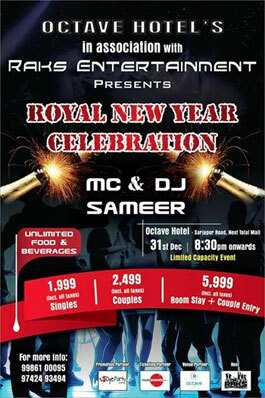 Welcome the New Year at Octave Hotels with our Royal New Year Celebrations with DJ Sameer! Limited Spots available! Be there or be square! Relax and rejuvenate your mind, body and soul....for FREE!! Click the link below to win!!! 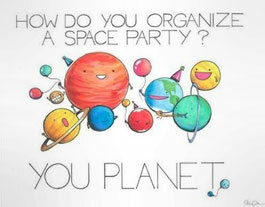 Now do you get it? 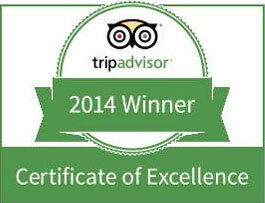 We aim to treat you the best! 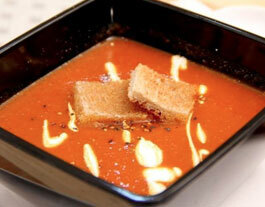 If you are in Flavours, our restaurant at Octave, do try the Tomato Shorba! It's quite 'tangy'ble! Guaranteed lip smacker! Stand a chance to win a FREE full body thai massage! 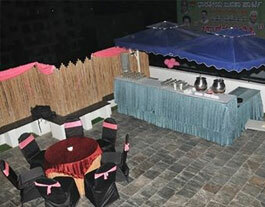 Get the best banquet service in town! We don't let others steal our secrets!! He has written his own history for many to remember, there is no one else who has been able to create such aura by being a spectacular human being. 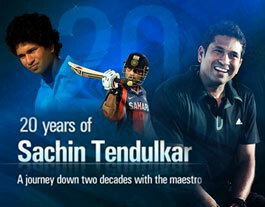 All the very best to our one and only greatest Sachin Tendulkar. True in every sense! 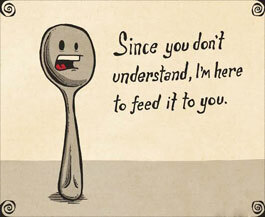 We love to feed our guests. Seafood lovers do pay heed! 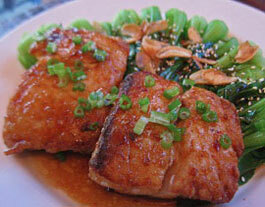 Fish in Oyster Sauce! Now isn't that mouth watering indeed! 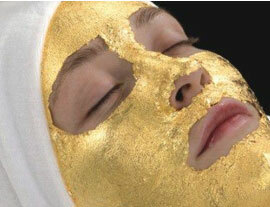 Pamper yourself with a very comforting Gold Facial! 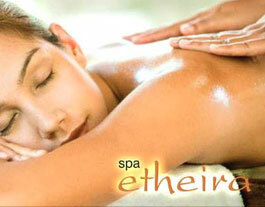 Rejuvenate yourself today at Spa Etheira! How many likes for this delicious Daiquri? 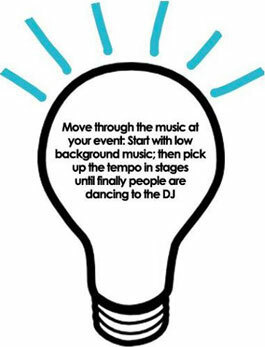 Get started with party on the weekend! 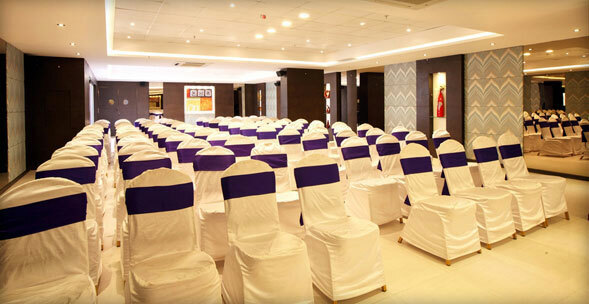 Before the beginning of an event ensure that all the minute details are all satisfactory such as seating arrangements, lights, sound, beverages etc. 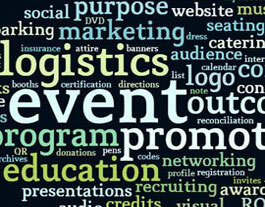 It’s always the small details that matter in making the grand success of any event! Share if you agree! 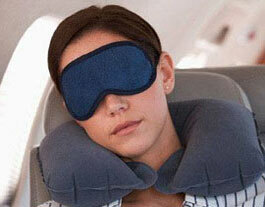 Tired after that long travel? No worries then just drop in our in house Spa Etheira & just enjoy a comforting foot massage & let your stress go far far away! 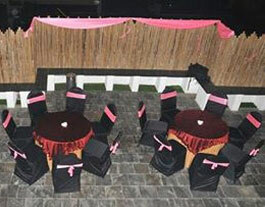 Birthdays, Anniversaries, Parties, Conferences. 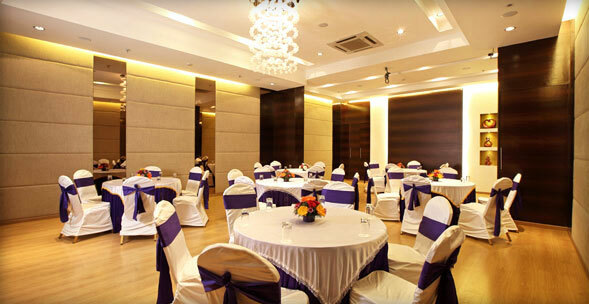 You name it, we can host it at our Banquet hall! 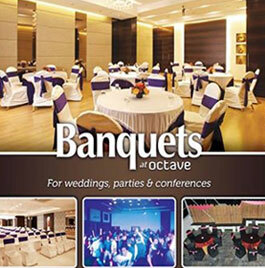 Do visit Octave Hotels today if you have an event to be conducted, cause we have the space for you! 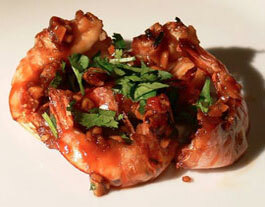 Enjoy this delicious dish of Chilly Prawn here at the restaurant Flavours in Octave Hotel! We’re sure you’ll come back for more! Wondering what all these words are about? 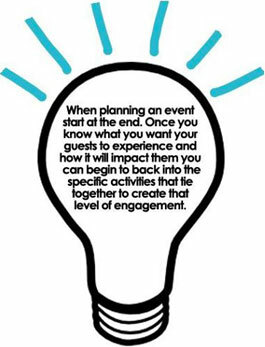 Well quite simply put these are all the keywords that are involved when conducting an event & it takes an experienced hand to remember & execute all of this. 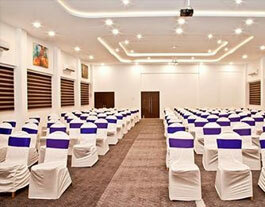 At Octave Hotel we offer the very best for your event! 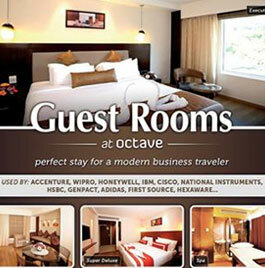 or email us at reservations@octavehotels.com and ensure a smooth check-in when you arrive! 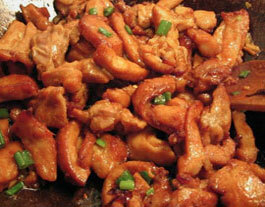 If you’re craving for some Chinese cuisine today, do drop by & try out our Hunan Chicken! It's mouth watering & oh so delicious! 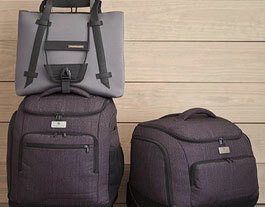 For the business traveler, packing becomes a skill that is much appreciated! How effective are you in packing your bag with minimum effort for maximum output! Here’s a tip that you would surely want to try! A second thought is always a better thought! What do you say? Carrying heavy luggage, walking long distances between terminals, being stuck in a traffic jam with a minivan full of antsy children during a road trip — it all takes a toll on your body. Look for hammocks on the beach or curtained cabanas around the pool — or just climb into your bed for a guilt-free nap. 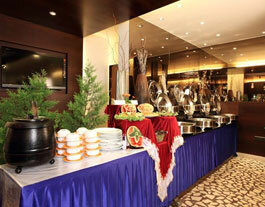 A perfect banquet to spend your party time with your loved ones, friends and colleagues! After all food tastes better when it’s had with family! Do you agree? 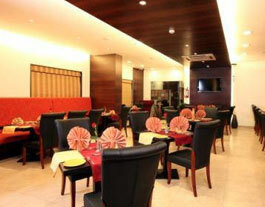 An affluence of a rich banquet that gives you a blissful experience when you dine with your family or your colleagues! 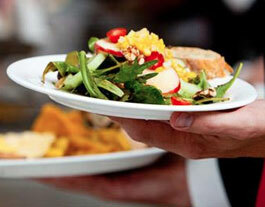 How many likes for Flavours, Octave’s in house Restaurant? Its luxury at its best! Smart people always choose comfort over luxury. 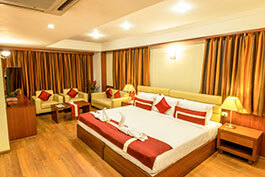 Well a place of proportional luxury and comfort! 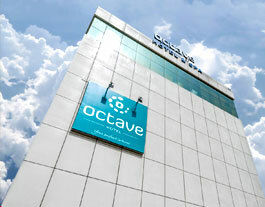 Octave Hotels at its best! 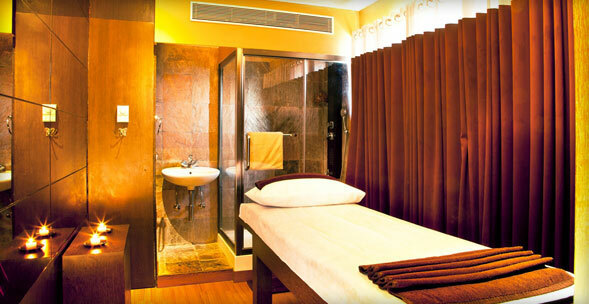 Introducing, Spa Etheira, the brand new in-house spa at Octave Hotel, Sarjapura Road Bangalore. Etheira is your space for comfort, relaxation and tranquility at Octave.Etheira Spa offers you a range of treatments - including facial, foot, and body massages and scrubs,and special packages that involve soothing techniques, natural ingredients, and treatments that promises to help ease your stress away. 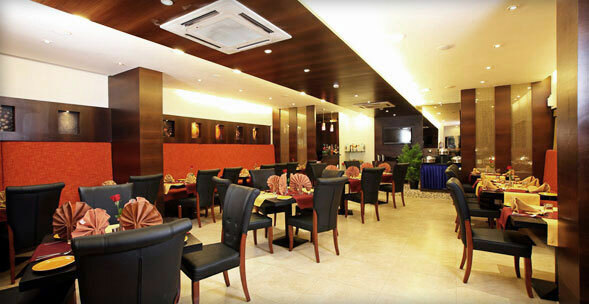 Call +91 7676702700 to make your reservation. Feeling hungry. Grab a quick bite at our Multi Cuisine restaurant Flavours where our Chefs take great measures to prepare the various dishes that you are to savor with the right amount of spices that is sure to tickle your taste buds! 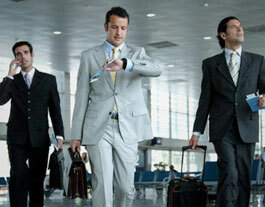 For the modern business traveller, internet is a must. At Octave Hotels, we provide our guests with access to free WiFi so that they do not miss out on the connectivity to the outside world. Beautiful isn't it? 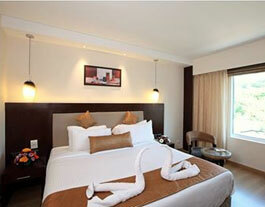 We care about your comfort, so we make the effort to make your room special. Share your comments if you liked this room. 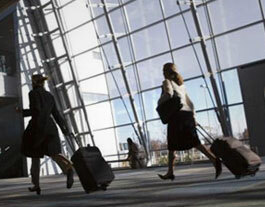 For business travellers who take the flight, here's a quick tip: Pick the "right" security line. The best line is usually not the shortest one. Two things to check are the efficiency of the personnel manning the line and the mix of travelers ahead of you. 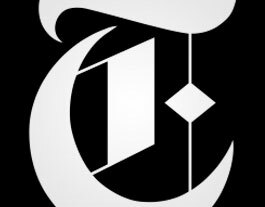 Several things to watch out for include families with small children, unconventional luggage which will likely be inspected, and anyone who looks like they haven't been in an airport security line in the last 10 years. By doing so you avoid the hassle of staying in a line for too long. 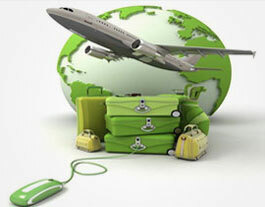 If you are running out a business trip for just a day or two it makes sense to carry the right kind of luggage. An ideal bag for luggage would be to have two equal sized bags equipped with rollers for easy movement & the perfect size to fit in the overhead bin. 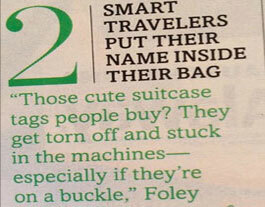 By doing this you are sure to save on checking in your bag. 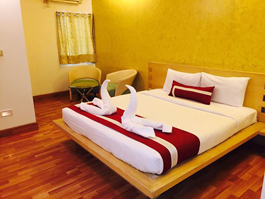 A beautifully designed living area that is built in within our rooms to provide you with the best of comfort to make you feel just at home & relax & enjoy your stay! 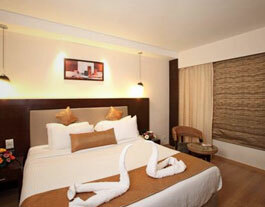 Octave Hotels is the perfect balance of luxury & efficiency for the well travelled businessman. 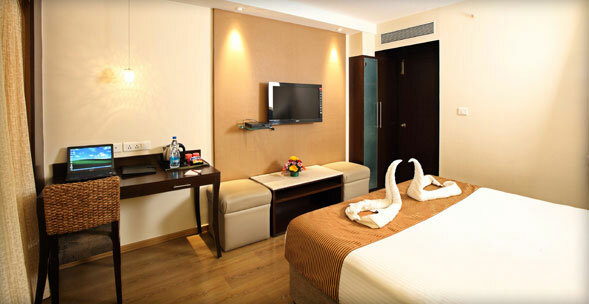 As a travel hotel we pride ourselves in giving the best services at the most economical prices & make your stay here an absolute joy.